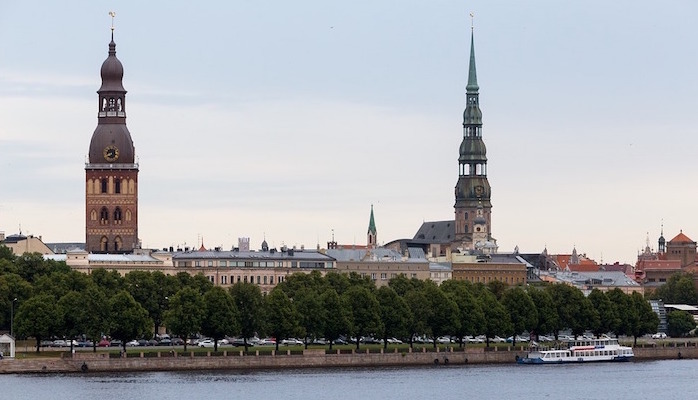 Not only does the waterfront path along the Daugava River offer great scenic running, it also hits some of the top landmarks in the city, including the Riga Castle, the National Library, and the pointed TV Tower. The nicest part, with stone pavers, decorative railings, and steps to the waterfront is the 3.2 km between Vanšu Bridge and A8 Bridge on the east bank. West Bank Options: Take the Akmens Bridge to the west bank, and run the scenic section from the National Library up to the AB Dam. This adds 3 km. Or, take the Vanšu Bridge to explore the pretty, cobblestoned street Balasta dambis.